Hezbollah Leader: Our Missiles Can Hit Any Target In Israel 4.4285714285714 out of 5 based on 7 ratings. 7 user reviews. Hezbollah carried out a cross border attack against a patrol of the Israeli Army on January 28, 2015. The attack was a direct response to an Israeli airstrike that killed officers of Hezbollah and the IRGC in southern Syria. Due to this it may be possible that if the anoounced Iranian response takes place, it could come from Lebanon or could involve directly or indirectly Hezbollah. Tel Aviv, Haifa and Ashdod will make Douma look like a first world city after Iran and Hezbollah are through with Zionist cowards. It is easy to shoot and beat up unarmed Palestinian kids, women and old men, fighting someone who can hit back is a bit different. Great news for Freedom and BAD news for those Psychopaths! Can hit …. What’s wrong with that? Tell us . Israel can hit anywhere in Syria and lebanon too , that’s ok with you? By any objective measure the arrogant Zionist criminals strutting on dumbass deadbeat US taxpayers largess are in for a shock if they try to tackle Hezbollah again. In 2006 the Zionists got a bloody nose despite the fact that Hezbollah had barely 30,000 mostly grad 122 mm rockets. Today, Hezbollah is perhaps the most versatile battle tested force in the region with over 150,000 missiles and rockets with a vast majority solid fuel GPS precision guided. Due to its immense success in Syria, today Hezbollah has had a recruitment boon is the Shia diaspora of 400 million people. If the Zionist cowards every target Lebanese or civilian targets against, Zionist hovels will be hit hard. Iranians are not inclined to play with kid gloves either. Zionists are weaker than a spiders web and even the recent downing of their “super” F-16 shut down Ben Gurion airport for 3 hours, imagine what a barrage of missiles will do next time. Also Zionists simply do not have the strategic mass to stay mobilized for a long asymmetrical war involving many fronts as Syria, Hamas and most resistance groups will join in the fray. Modern wars chew up manpower very fast as Iraq and Syria have shown, the Zionists will collapse after a few weeks of sustained combat and destroyed cities and airports. Zionists have 9 active airbases and Iranians and Hezbollah will hit them first with runwayy cratering munitions. Nutter Yahoo better think thrice before committing suicide. The next war for Palestine will be out of this world from a military point of view and full of surprises. 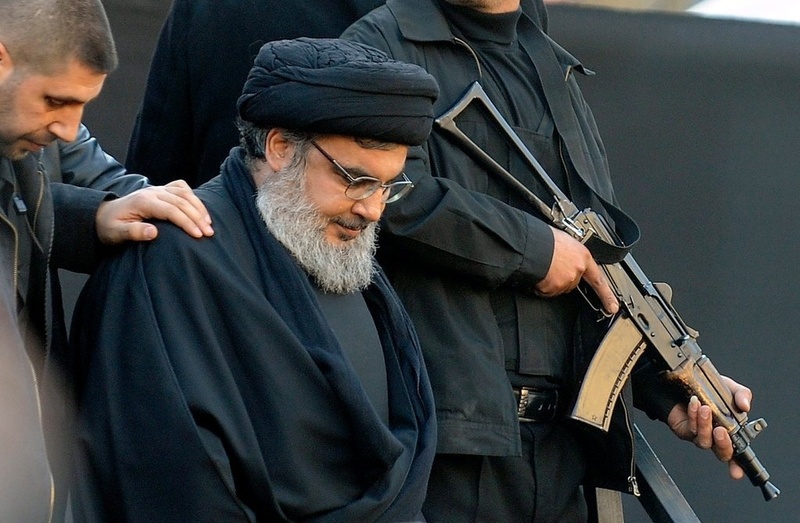 The israhellI child killers are terrified of Hezbollah, after the previous beatings they had from them.Hezbollah don’t make idle threats and if the satanic nut and yahoo has any sense left,he will back off or eventually his regime will be destroyed from inside or outside. The time for payback for all their genocidal warmongering crimes is approaching fast,and they are a big bulls eye for its enemies, and their zionist puppets won’t be able to stop them. Demographics are simply against the Zionists as well. There are now 6 million plus Palestinians in Gaza and occupied Palestine and other 8 million in refugee camps and around the world since al-Nakba 1948. The Zionist manpower base is basically 2 million and a sustained mobilization will collapse their charity case economy as US taxpayers are already broke. As failed US and NATO wars have shown in Afghanistan, Iraq and now Syria and Saudi idiots in Yemen, airpower alone can not save an army. It is boots on the ground in the end and hard slog and street fighting. Nuttyahoo… that’s my term, lol. True… But so far just hot air. I’m tired of hearing the great threats from Iran’s bearded jihadists, who are not accompanied by actions. Stop embarrassing yourself and shut up already. 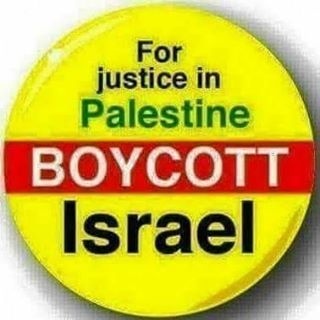 I am rather tired of the wailing and moaning from Zionist Jews who murder children with explosive bullets. That is the difference between Israel and Iran. Israel has nukes and missiles enough to blanket Iran. They have had this capability for many years. They can exterminate Iran and choose not to. Iran does not yet have nukes and missiles enough to blanket Israel. Yet they publicly brag how they will someday very soon exterminate Israel. Nuking solves nothing…its like bringing a hammer to a library wtf you going to do with that. Iran has showed itself quite resilient i. The 80’s when saddam (god rest his zombie corpse) attacked an Iran with its pants down. Never said was in favor of nuking Iran. Only pointing out difference between Israel and Iran. Israel can completely destroy Iran any time it wants to but chooses not to destroy Iran. Iran wants to destroy Israel but is not yet able to. As soon as Iran has developed the capability to destroy Israel it will try to do so. Can you not see this critical difference in civilizations?